Cooking from scratch | Retired? No one told me! This week started with a challenge not that every day isn’t some sort of challenge …haha I was nominated for a getting to know you challenge …The questions were not too daunting so I accepted the challenge…It doesn’t really give too much away about me …We ladies have to keep a little to ourselves it all adds to our air of mystery doesn’t it ladies? Thursday bought us to week 12 of Waste Not! Want Not!… There were brilliant ideas of dispensing books instead of sweets from a school vending machine and the idea of 6 pack plastic holders being food for turtles instead of a danger to them…On one side it seems like a good idea but on the other side, it won’t encourage people not to dump their waste…What were your thoughts? Friday bought my sourdough update and it is proving in the basket as we speak, some recipes and other bits and pieces…Blackberries and Rambutan Fruit was on the menu. This entry was posted in carol and Sally health and recipes, Carol's Cookery Column at Smorgasbord Magazine, Cook from scratch with Sally and Carol, Healthy Eating, No faddy diets just healthy food, Retired No One Told Me! 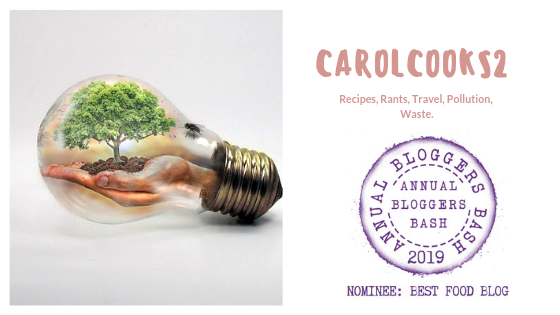 Weekly roundup!, Uncategorized and tagged Blackberries, Cooking from scratch, Fruit Slice, Rambutan and chicken Curry, Recipes, Waste not want not on February 24, 2019 by CarolCooks2.